Champlain at the Lake, 3 Bedroom Ranch Brewerton, Open Floor Plan - Contact Bob McTague at 315-882-6610 for more information about this home located in Syracuse, New York. Brewerton, NY Neighborhood -. 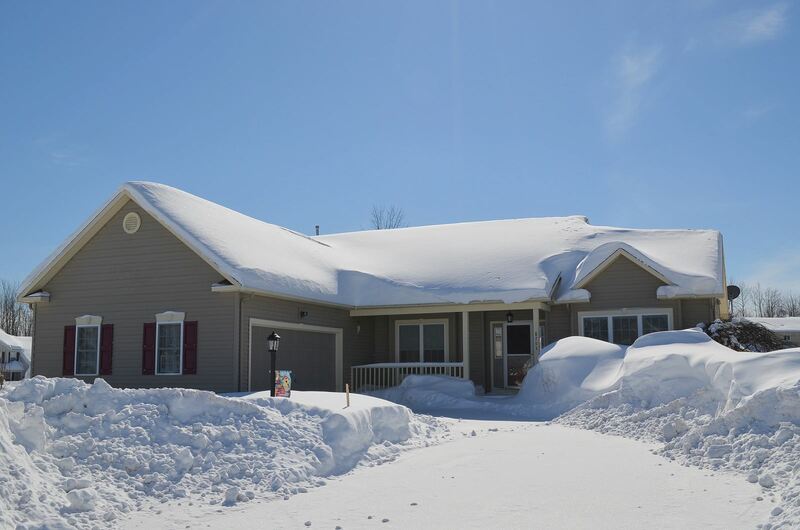 This quality Ranch home built in 2004, is located in the popular "Champlain at the Lake" neighborhood, which is close to Oneida Shores park and lake, Oneida River, Central Square schools, shopping, and major highways. This is one of the few Ranch homes that are offered for sale in this neighborhood. Main Floor Features - The open floor plan offers hardwoods throughout, a bright two story great room with a gas fireplace and large windows, an open yet defined dining area, a spacious gourmet kitchen with abundant cabinet and granite counter space, a cozy breakfast nook with access to the two tiered deck and private backyard, a master bedroom with a large walk in closet and master bath with a tub and stand up shower, two other good sized bedrooms, another full bath, and a large laundry room that offers access to the basement and the 2 car garage. Exterior - The exterior offers a two car garage, a deck and a large yard.